When my eldest daughter started kindergarten I was a mess. 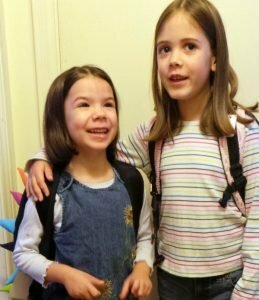 I waffled back and forth on whether we would enroll her in Junior Kindergarten at all, and once she did start attending I was, predictably, a nervous wreck. I was dying to know the details of what she did all day, and she wasn’t sharing. “You weren’t there, so you can’t know.” she would say, looking at me with a puzzled expression on her face. 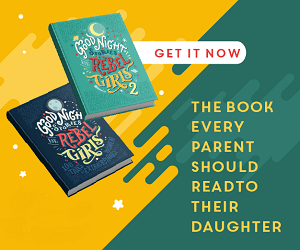 It left me wanting to sneak up to the school and peek in her classroom window, or strap a hidden micro cassette recorder to her, or something, anything, to get a glimpse into what her days were like. As she got older she did get better about sharing details of her days with us, but that first year killed me. Girl #2 was just a tiny bit excited for her first day of school. When my second daughter started kindergarten I went in to meet her teacher a week before class started, and in between asking me questions about my daughter’s idiosyncrasies, her new teacher informed me that there would be an Instagram account set up for the class. He had me fill out a form, giving permission for my daughter’s photos to be placed online, and providing my Instagram account info so I could receive an invite once the account was live. When the school year started and I had a chance to check things out, I was impressed with the way the teacher had everything set up. The account was only viewable by parents of students in that class. It was set-up to be private and by invitation only. Still, while I thought it was neat, at first it didn’t seem like that big of a deal. As the weeks went by, photos were added to that account almost daily. I would check in every few days, look at the pictures, and study the details of the classroom. Here was that glimpse into her everyday moments that I had wanted so badly with my first girl. There was my daughter eating her snack, playing at a centre, or walking down the hallway on her way to gym. There was that cool science experiment my daughter had mentioned, the neat posters her class has worked on together, or the book they had read during carpet time. Soon my daughter started to ask to see her pictures. She knew the teacher had taken her photo when she was doing x or y, she knew it was posted online somewhere, and she wanted to see it. We would sit down together and look at the pictures and she would tell me what was happening in each one, pointing at and naming each of her classmates. To me, this was amazing. The kids in her class weren’t just a bunch of random names for me to keep straight in my head, they were smiling, holding up works of art, wearing birthday crowns, sitting next to my daughter at lunch, or drawing together at that play centre. It brought everything to life, and opened up so many conversations with my daughter where she would talk to me about everything from the neat bug her teacher had brought into the classroom to why she loved the new water play table. That Instagram account was a bridge from our home to her classroom. It allowed me to take a glimpse not just into my daughter’s classroom but into her mind. It opened up sharing and discussion, and brought us together. Often when she was leaning up against me or perched on my lap to look at photos from her classroom her big sister would come along and look and make comments, pointing out kids she had met at recess or saying things like “Oh I remember doing that. We had one of those in my classroom too!”. Which is how I found myself, three years later, finally getting details of life in kindergarten out of my tight lipped firstborn. While I loved having access to the pictures the teacher posted I also loved that it was private, and only open to parents who had filled out the necessary form to take part. I appreciate knowing that the Ontario College of Teachers helps to ensure teachers are up to date and informed about the appropriate use of social media. Many of the guidelines presented by the College relate to how teachers represent themselves on social media, and how they interact with their students online, outside of classroom hours. These aren’t things that apply to my kids yet, but again, I am glad to know that the College is there, helping teachers to understand what is, and is not, acceptable online. Overall I think that Instagram account for my daughter’s Kindergarten classroom was a stroke of pure brilliance. I would love to see every class doing something similar. Though I also understand that teachers are busy, and goodness knows I totally get that it takes time to take photos and upload them. Just one more extra thing to do, right? Which is why I was glad to discover there’s one more tool at my disposal to gather information about my daughter’s teachers, the Ontario College of Teachers’ Find a Teacher register. You can search by last name for any teacher that has been certified to teach in Ontario public schools. It’s kind of neat being able to see what degrees a teacher holds, and what year they graduated or were last certified. Want to keep track of what’s going on with education in Ontario? If you want to keep track of news and announcements from the Ontario College of Teachers you can sign up for their e-newsletter. The newsletters they send out will help you keep you informed about changes in education legislation, be the first to see reports of trends in education, and learn how the College works to ensure high standards in education. What about you guys? Have you ever gone mad with wondering what your kids do all day at school? Does your kid’s classroom have an Instagram account? Have you ever had a positive experience with your child’s teacher using social media? Disclosure: This post was sponsored by the Ontario College of Teachers. As always my words and opinions are my own. “You weren’t there, so you can’t know” made me so sad. I would have cried. I’m glad you can connect with your younger daughter. Isn’t it nice when social media is used for good? It’s not just a time waster, but something that makes a tangible difference in your lives. Good on them for doing it. This is such a great and easy way to communicate with parents and see what’s happening in your child’s classroom. I share what’s going on in my classroom through an app too. I know the parents and students love it. My kids school has a Facebook page, while it isn’t private, I love their updates! I’ll have to mention the idea of a private Instagram account, great idea! Awesome! This is really the first year I have seen my daughter’s classroom teacher using social media consistently. It seems to be a theme. I like that a lot. This summer the girl’s camps used social media to show parents what their kids were doing and that was excellent. WE both checked every single day. My husband would fall asleep with phone in hand scanning their private Facebook page for pix of our daughter. To know she was having fun and really okay without us was invaluable. I am thrilled to see more places doing this. Smart communications strategy. Oh and BTW I love your new site redo!! What a great idea. I also never seen to know exactly what is going on in my son’s classroom. While his JK teacher had a blog and she updated it several times a week, including pictures, I love the simplicity and quickness of putting pictures up on IT to share with the parents. Genius! That is so neat!! My sons teacher always emails us photos. It is great and a relief!